I have had such a fun time collaborating on this fun Plaid project along with the other Plaid Creators, and I’ve been looking forward to finally sharing it with you! 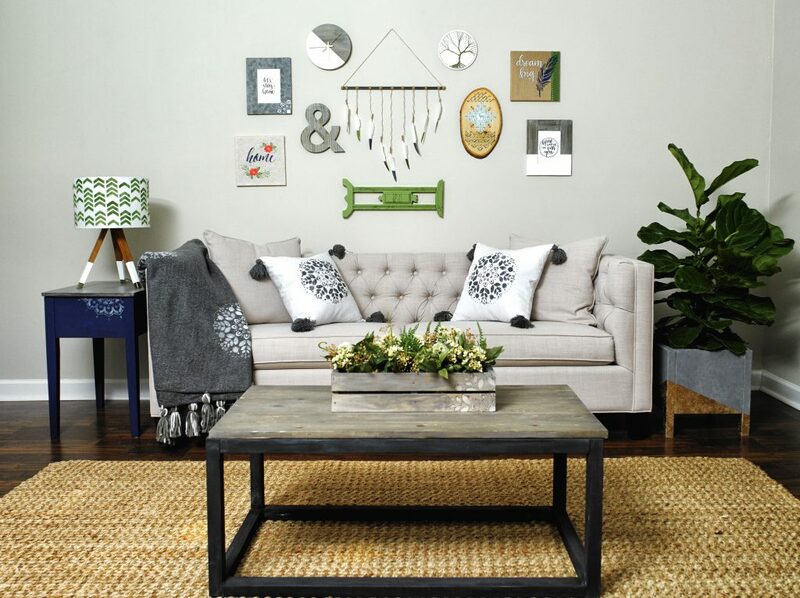 The rest of the Plaid Creators and I each designed and created a couple of items for a family room makeover, and then everybody shipped their creations to Atlanta and we set up an entire room in my house. Then, a photographer came to shoot it for Plaid. The entire project was so much fun! 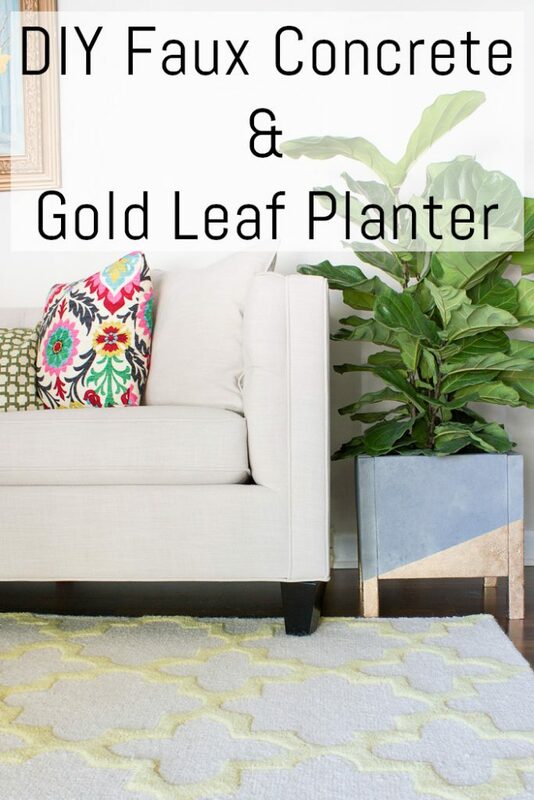 Today I’m sharing a tutorial for the DIY faux concrete and gold leaf planter that I built for the room. I love that it is a little bit industrial and modern, with the added “glam” factor of the gold leaf. 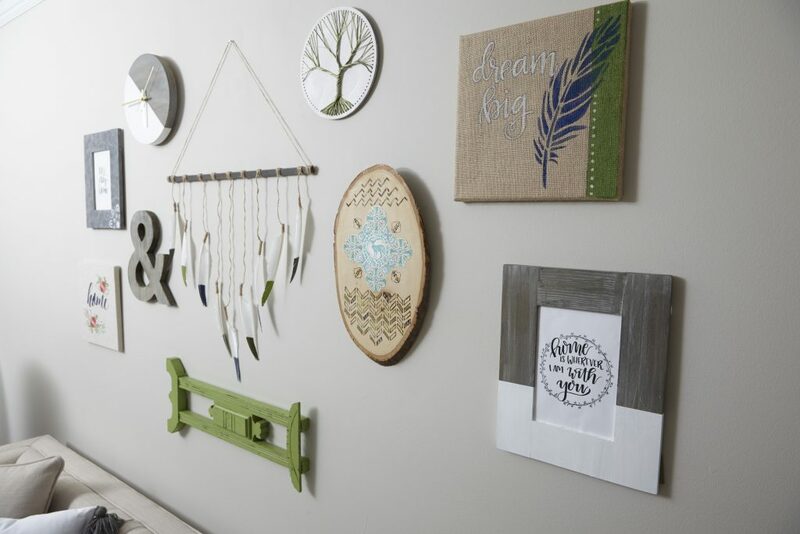 Also, I’ll share a peek at the room reveal, and the most exciting part is that you can enter to win the ENTIRE gallery wall full of art that we made! 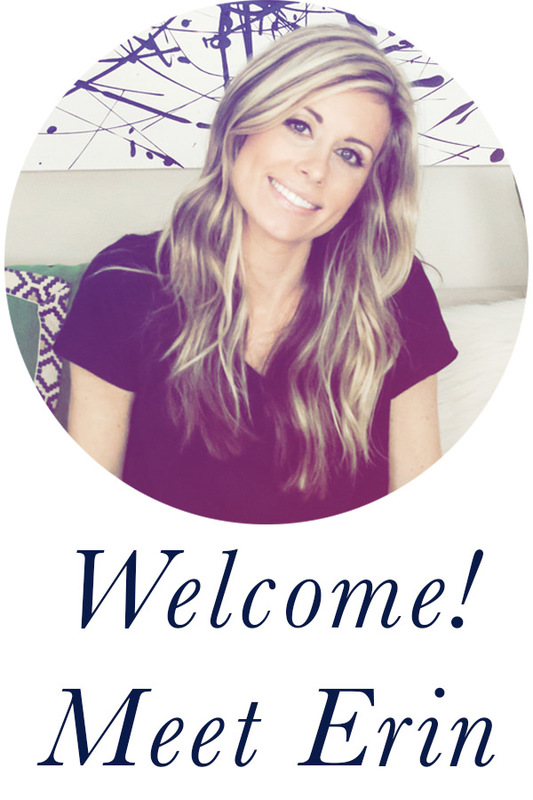 I am so excited about this giveaway! Not only that, the grand prize winner will also win $500 in arts and crafts supplies. 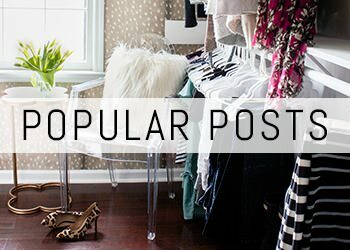 (See epic giveaway at the end of this post.) Also, be sure to head over to Plaid® to see tons more photos of the reveal! I created the tree string art for the gallery wall, and the planter (tutorial included in this post). First, cut your boards. 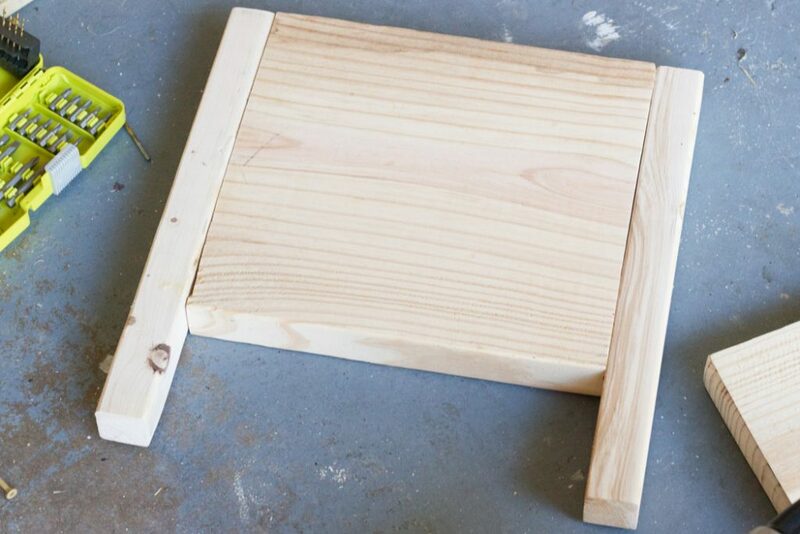 I prefer using a miter saw, but a circular saw or a hand saw will work too. 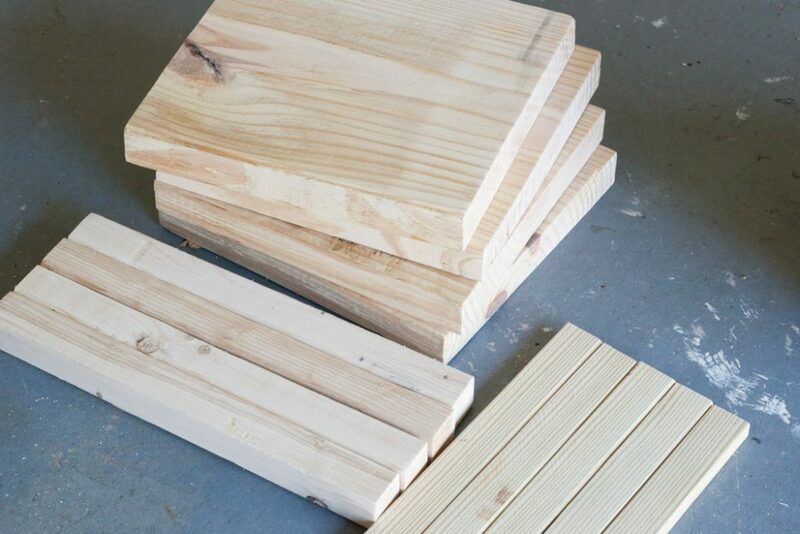 You will cut 1 – 2×12 board into 4 segments, each at 12″ long; 1 – 2×2 board into 4 segments, each at 15″ long; and 1 – 1×2 board into 5 segments, each at 12″ long. 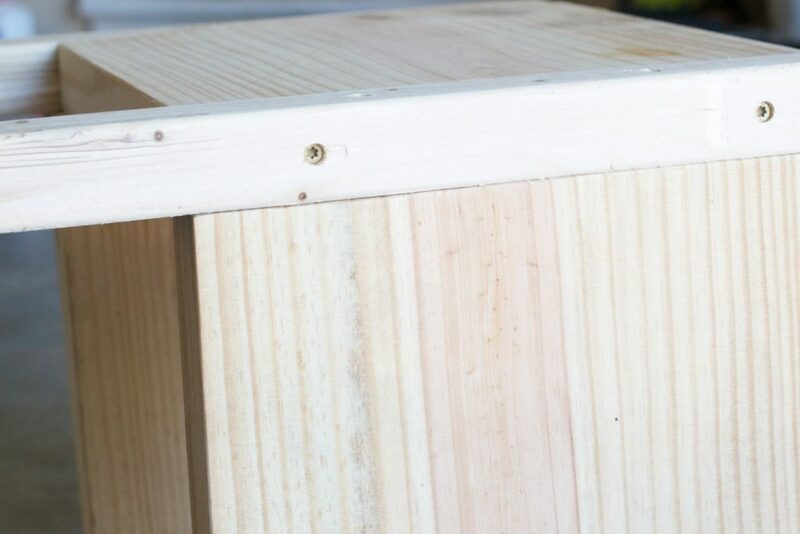 Using the remaining 2×12 pieces, join the two side segments together by attaching them with 3″ screws. 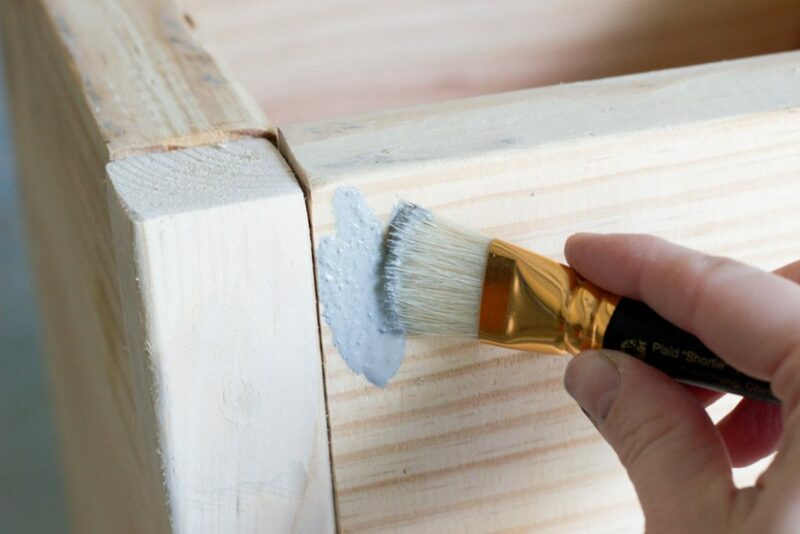 Be careful to stagger the placement of your screws so you don’t run into the screw you’ve already drilled in when connecting the legs. 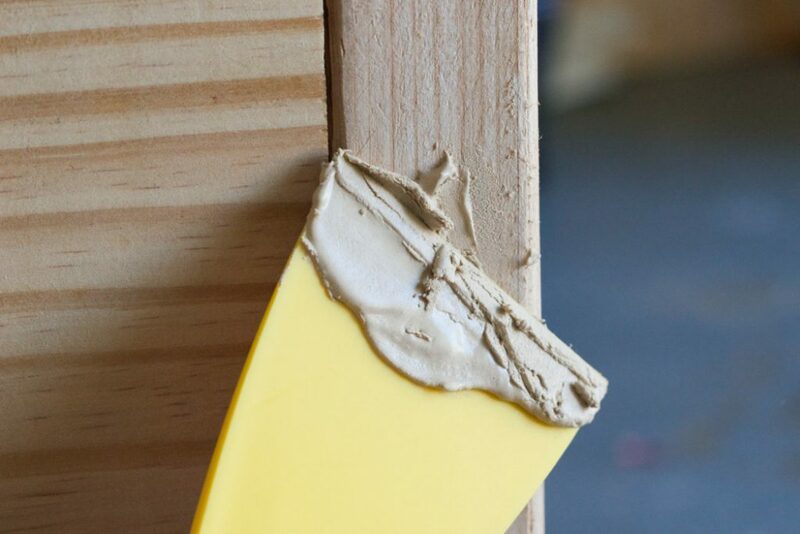 Patch over your screws using a putty knife and wood filler, and then sand smooth. Now it’s time to paint! I used FolkArt® Painted Finishes in Concrete. It comes in “Light” and “Dark”. 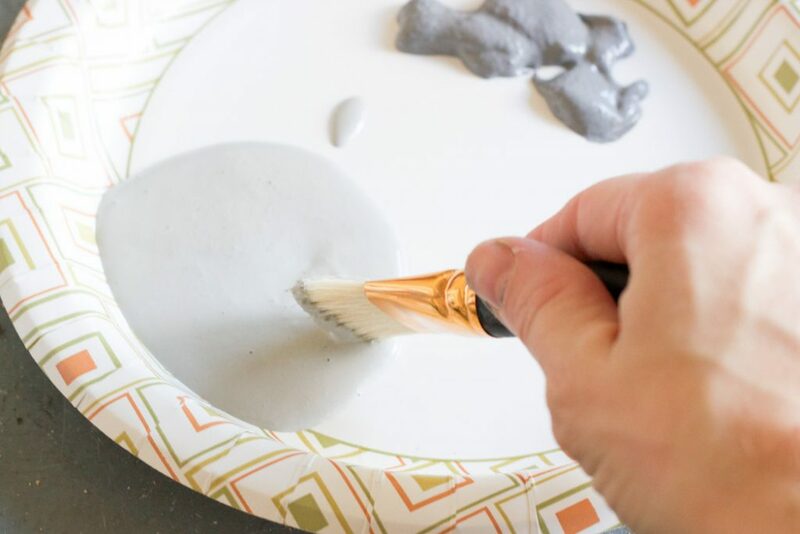 Pour a little bit of each onto a paper plate which you can use as your palette. Then, stipple on the light color with a Shortie brush, covering the entire planter. Working in sections, one side at a time, stipple some of the dark lightly on top of the light color while it’s still wet, blending and pouncing your brush as you go. 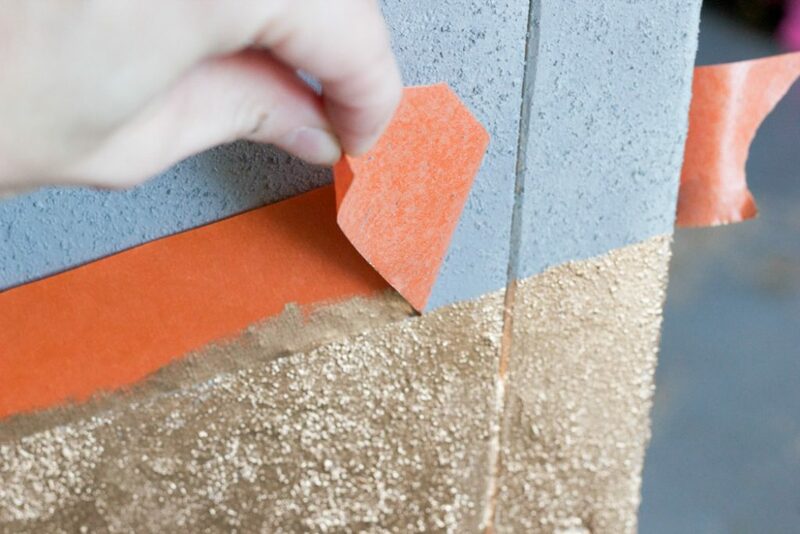 After the concrete painted finish has dried, tape off your diagonal design using painter’s tape for textured surfaces. (You can find this at the hardware store.) I created an alternating diagonal, so on one side I had the diagonal running from the top left corner to the bottom right corner, and then on the next side I started where I left off, so that one would run from bottom left corner to the top right corner, and I continued with that pattern all the way around. Make sense? I hope so! 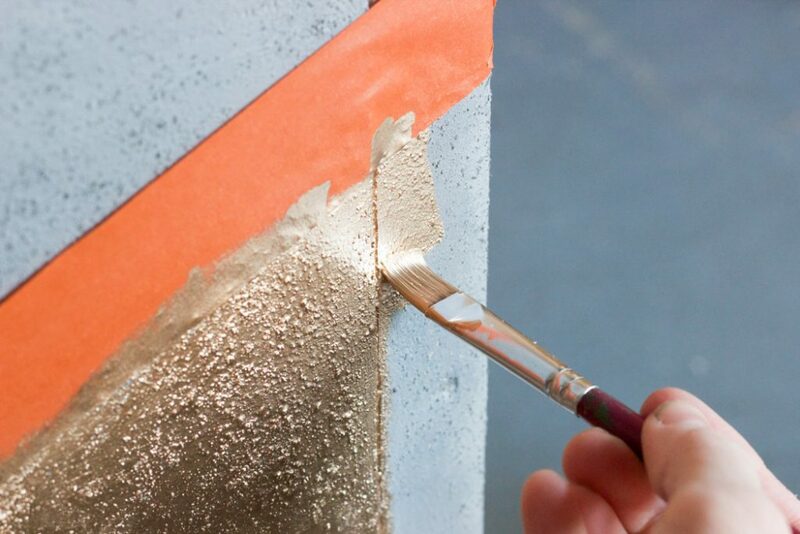 Paint the bottom section below your tape with Plaid Liquid Leaf in Classic Gold. A little bit goes a long way, so even though the bottle is tiny, there is plenty in there. I used a small paintbrush to apply it and it only took one coat. 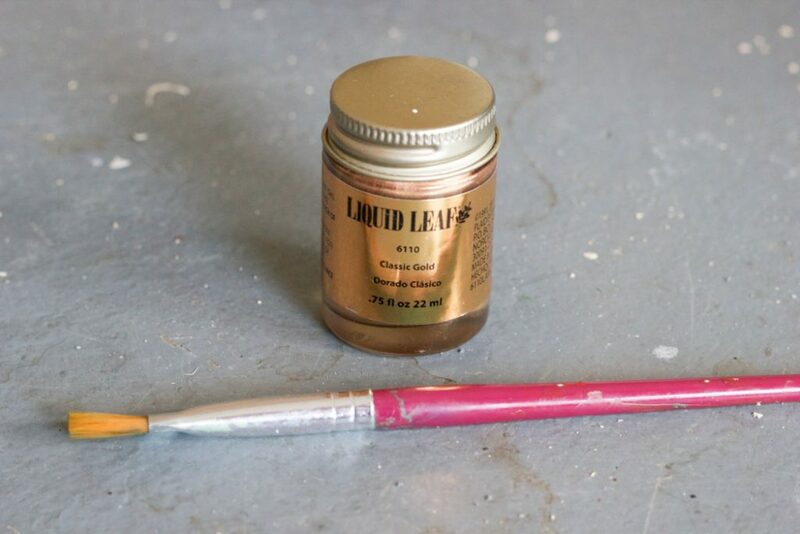 Remove your tape while the liquid leaf is still somewhat damp, but not soaking wet as you don’t want it to bleed. Insert your plant, and enjoy! 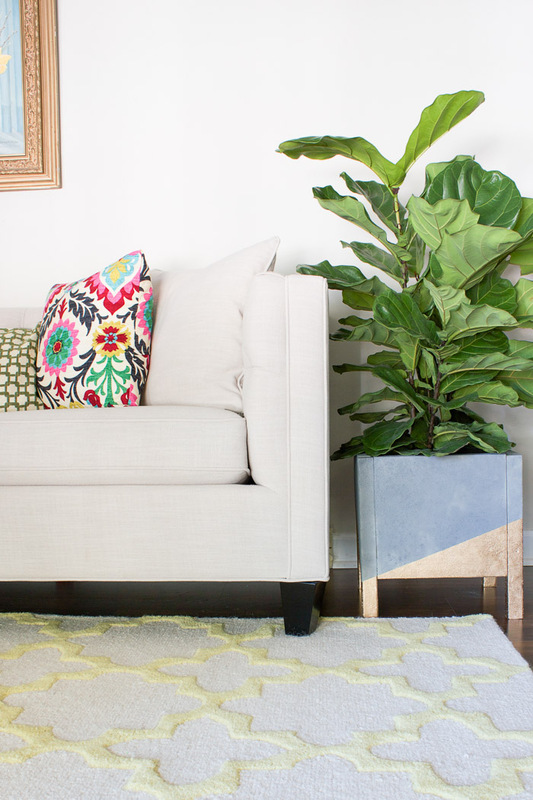 I opted to just drop the planter that my fiddle leaf fig came in directly inside this one, but you could also add a layer of landscape fabric and then your soil and plant on top of that. 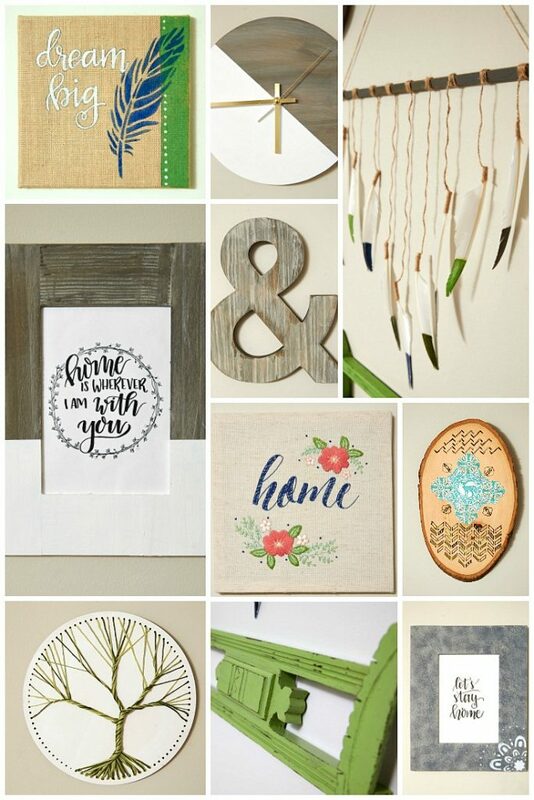 PLUS, not only will the grand prize winner walk away with all of this original art, they will also win $500 worth of arts and crafts supplies from Plaid. And here’s a fun little stop motion video of me hanging the gallery wall! To enter the giveaway, simply follow the instructions in the Rafflecopter widget below. U.S. entrants only, must be 18+ years old. The giveaway ends 11/30/16. Wow! 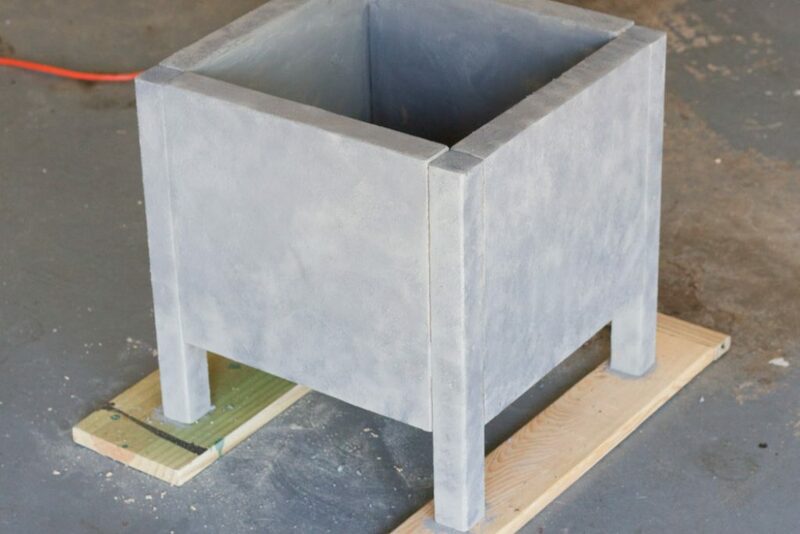 That really does look like concrete! That looks great! Looks like it came from a high-end specialty store! That faux concrete finish is everything – I LOVE IT! 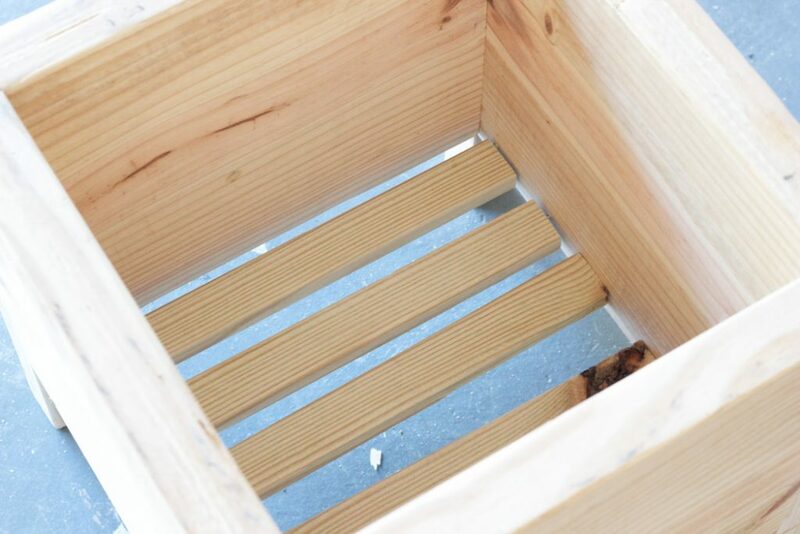 Your planter is awesome Erin – love how you incorporated the gold. Beautiful! Thank you, Chris! Good luck! 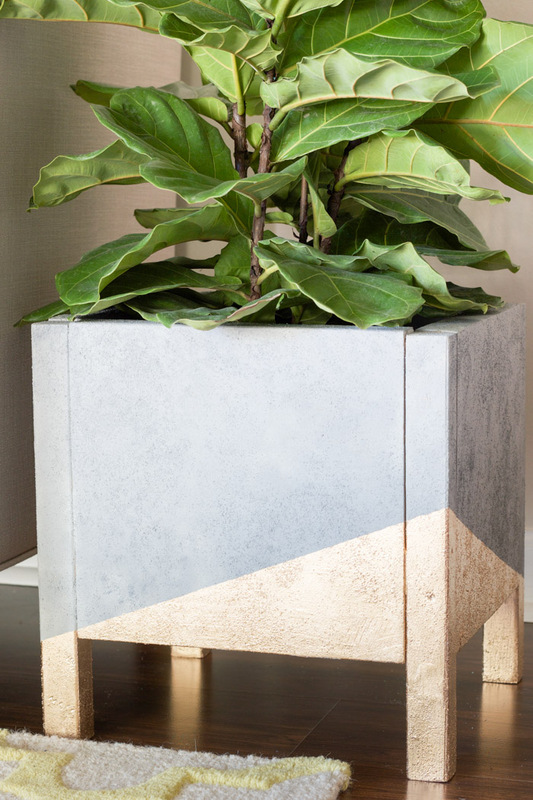 The texture on that planter is amazing! I never would have guessed you made it from wood. Thank you for the step by step tutorial, Erin! 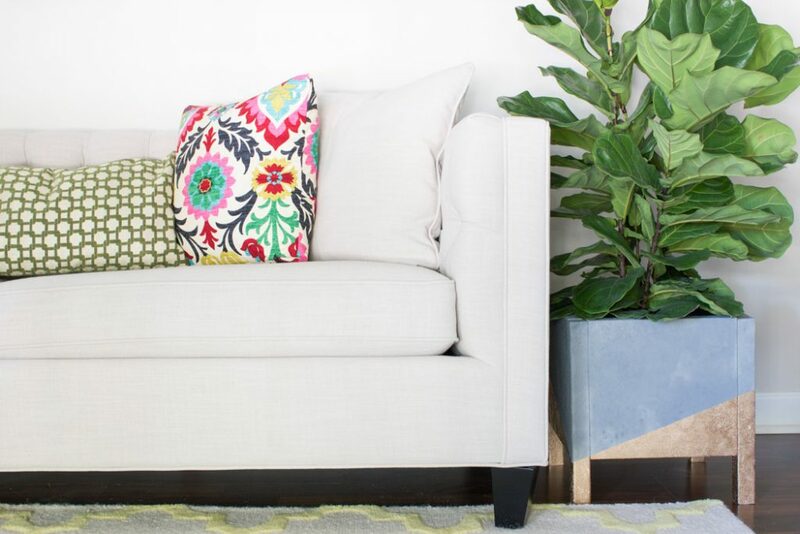 One small question – my living room is painted in different shades of brown (matching the colour of the furniture), what colours do you think I could use for the leaf planter? I was thinking of beige, but I am not very satisfied with this combination, I would like something bolder. What colour do you advise me to chose? Hi Olivia. I would definitely go with something more bold. 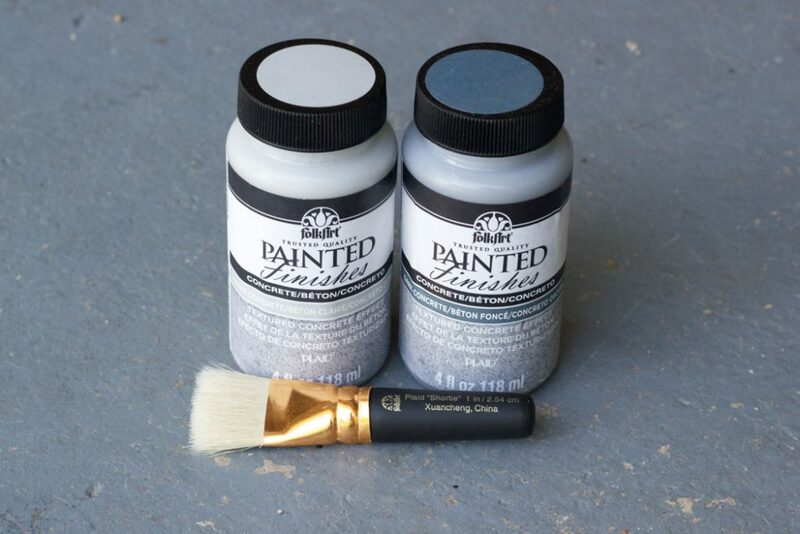 The combo I used would work with any color room. Or you could go white and gold. That would be pretty too! Do you have any other accent colors in the room? You could pull from that too. Good luck! This planter is awesome Erin! 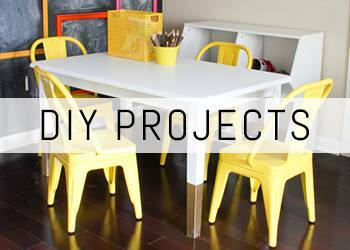 I love all your faux concrete DIYs. I was in my local hardware shop the other day and saw concrete spray paint for sale. Have you every tried some? 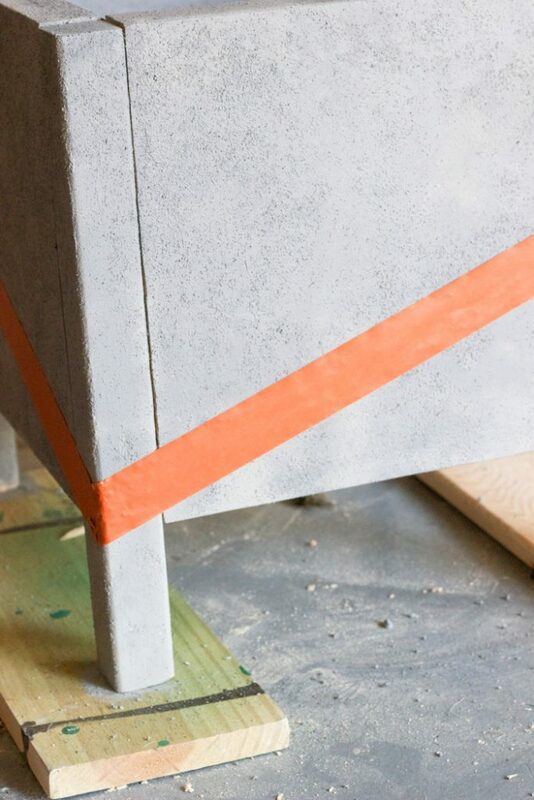 Or do you prefer hand painting the concrete effect? I LOVE that gold leaf, it’s so pretty. Hi Emma! Thanks! I’ve never tried the spray paint. Let me know how you like it if you end up trying it. I like to hand paint it since I have more control over the effect.